WHITE PLAINS—The Westchester County Industrial Development Agency recently granted preliminary approvals for incentives for three major projects in Downtown White Plains that combined will involve more than $1.2 billion in new development. 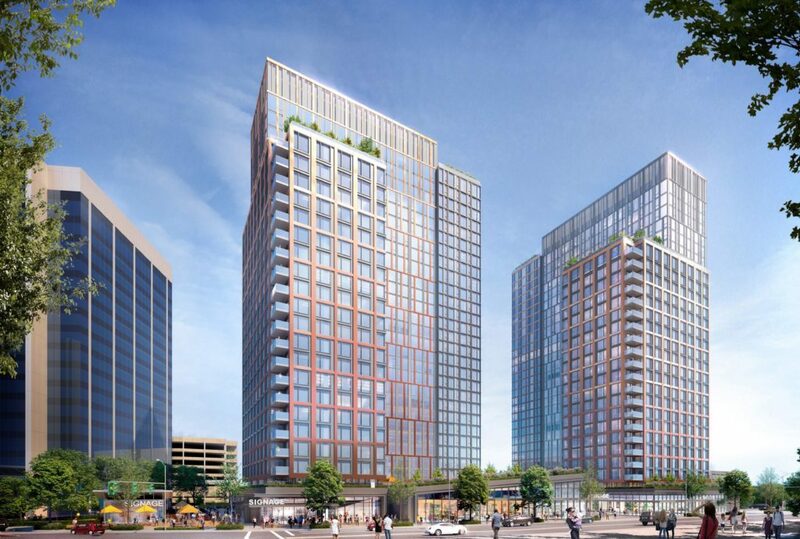 The three projects would create an estimated more than 3,000 construction jobs and more than 500 full- and part-time jobs in the City of White Plains. The IDA in a session held at the Westchester County Office Building in White Plains on March 29 granted preliminary inducements for the nearly $600-million redevelopment of the current White Plains Mall and the approximately $500-million redevelopment of the former Westchester Pavilion Mall. 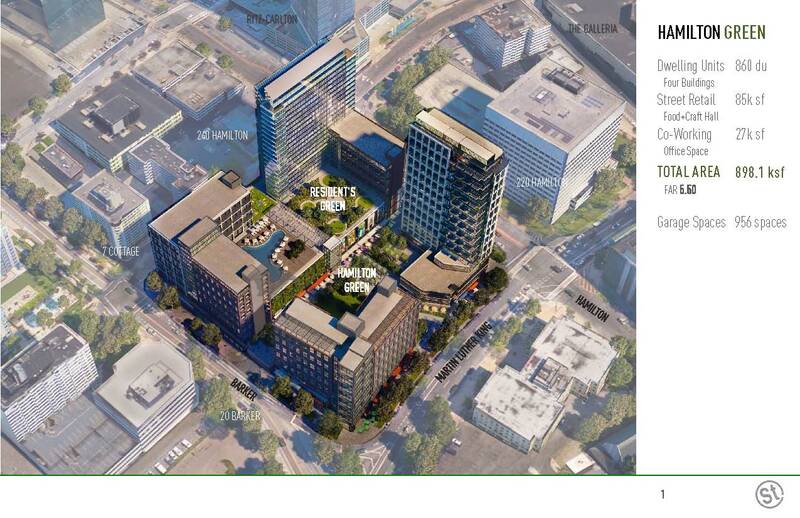 Both mixed-use projects will offer a total of 1,674 rental apartments and some mostly ground floor retail space. A senior living facility, to be located on what is now an at grade parking lot, will be developed across the street from the Bloomingdale’s department store on Bloomingdale Road and will add 132 senior living units to the city’s housing stock. Michael Glynn, vice president of National Development of Brooklyn and Lower Falls, MA, estimated the project, which will also include the construction of a parking garage, between $115 million to $120 million. The redevelopment of the current White Plains Mall by owner WP Mall Realty, LLC will involve the demolition of the 170,000-square-foot existing mall at 200 Hamilton Ave. The “Hamilton Green” project will entail 860 apartment units in four buildings with 10% of the units earmarked as affordable. Other major components include 84,500 square feet of specialty retail and restaurant space, including a Food and Craft Hall, 27,000 square feet of office space, an approximately 956-space parking garage and open space. Kenneth Narva, managing partner of Street-Works Development of Port Chester, said that the public platform component of the project, which he described as “Privately-Operated Public Space,” will include 67,000 square feet of space that “will be transformational” and is projected to cost approximately $100 million to complete. He said the overall project totals 1.35 million square feet. The project is being built on a brownfield. Narva said the overall project will take about four-and-a-half years to build. Demolition of the existing White Plains Mall will begin this summer, however, Narva told the IDA it will take about one-year to stabilize the property in dealing with the brownfield issues. He said that in addition to his firm Street-Works and the current owner of the property, additional joint venture partners could be involved in the development of the project. Hamilton Green is expected to create 1,450 construction jobs and 500 permanent full-time jobs upon completion. The applicant is seeking the IDA to approve approximately $14 million in sales tax exemptions and $3.5 million in mortgage tax exemptions. The redevelopment of the former Westchester Pavilion mall at 60 South Broadway has been delayed while Lennar Multifamily Communities revised its original plan that had called for 707 multifamily units and 85,000 square feet of retail space. The Westchester Pavilion Mall has been demolished to make way for the new development. Lennar Multifamily, which is close to breaking ground on a more than $223-million multifamily project at 131 Mamaroneck Ave. in White Plains, has increased the number of apartments to 814 units and has significantly decreased the retail component to approximately 28,000 square feet at 60 South Broadway. The development would be built in two phases. Each phase of the project is expected to cost more than $250 million, according to the developer’s filing with the IDA. Greg Belew, City President, NY Metro Area, for Lennar Multifamily, said the project would be undertaken in two phases and would involve two, 28-story tower buildings. Lennar has secured mostly all approvals, but is seeking a 20-year PILOT agreement with the City of White Plains and its School District. Lennar is looking to have the IDA approve sales tax exemptions of $5.5 million in phase one and $5.4 million in phase two; mortgage tax exemptions of $1.25 million in phase one and $1.25 million in phase two and property tax abatements of $28 million in phase one and $30 million in phase two. Construction of the first phase is expected to begin in June 2020, with occupancy in September 2022. The second phase will begin construction in June 2022, with occupancy in September 2024. The IDA also was given a presentation of a senior living project called “Waterstone” that will be built on Bloomingdale Road. The project will involve a five-story, 132-unit independent living facility. 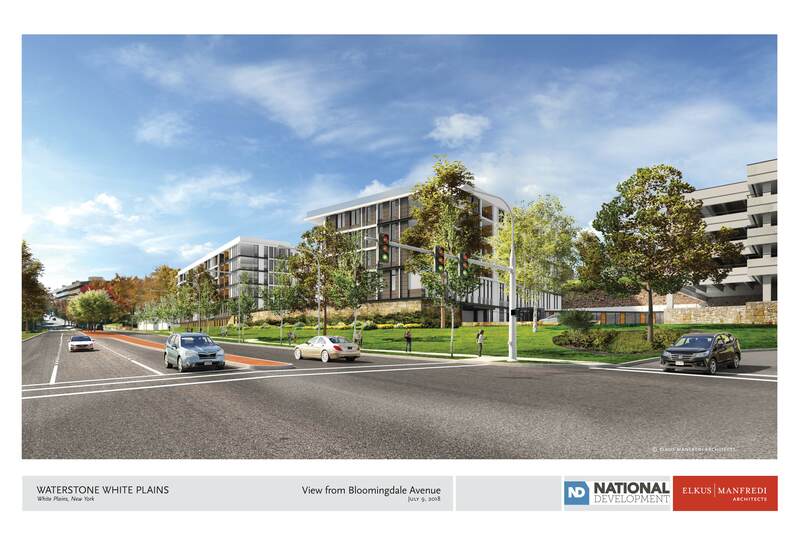 Being proposed by a special entity of three Massachusetts-based firms—National Development, EPOCH Senior Living, Inc., and Charles River Realty Investors, the partnership will acquire 120 Bloomingdale Road, the 2.56-acre site of an existing at grade parking lot. The partnership plans to acquire 120 Bloomingdale Road as well as an easement right to build a new parking structure at an adjacent property, according to its IDA filing. In connection with the development of the project, National Development is making a voluntary $1.2 million contribution to the White Plains Affordable Housing Fund. The project is expected to take 22 months to complete. The development partnership is seeking IDA approval of more than $2.4 million in sales tax exemptions and $780,481.78 in mortgage tax exemptions. 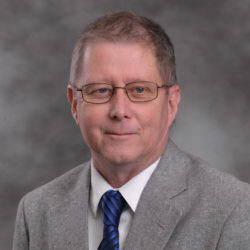 Eon S. Nichols, an attorney with the law firm Cuddy & Feder LLP who represented all three development firms before the IDA, stated that all three firms are in negotiations with the unionized building trades regarding hiring local labor. The Westchester County IDA and the Building & Construction Trades Council of Westchester and Putnam Counties are in talks to craft workforce requirements for development firms seeking public assistance. Nichols also said that all three development firms have been in contact with Con Edison regarding the utility’s recently imposed (March 15) moratorium on new natural gas connection hookups for most of Westchester County. Lennar’s Belew said that one possible way to deal with the natural gas moratorium is to build a project with a back-up heating system that could be switched to from natural gas during peak usage periods.